1. Sleep: The winter months can make us want to hibernate. The days seem shorter with the dark hours lasting longer than in spring and summer. Even though it may be difficult to climb out of bed when it’s still dark, it is so important to maintain a regular sleep schedule as part of overall sleep hygiene. Sleep is such a crucial element to basic self-care and so many of us are significantly deprived. Try to improve your sleep hygiene by maintaining a regular sleep schedule, keeping weekend sleep-ins or naps to a minimum, keep screens off 30 minutes to an hour before bed, and engaging in a regular pre-bed routine. Just like we would do for an infant, we need to provide our body cues that it is time to settle in for the night. Lowering your lights, taking a warm bath or shower, using lavender essential oils, listening to relaxing music or meditations, and/or light stretching or yoga are all different things you can include in your new healthy routine. 2. Nutrition: For me, fall and winter months usually mean bringing on the comfort foods. Unfortunately, these foods usually include rich sauces, soups and gravy, and are carb heavy which can be quite a departure from typical lighter summer fare. It is important to maintain your nutrition year-round to be operating at your maximum capacity. That means still incorporating fruits and vegetables in your routine daily and watching the typical increase in in heavier foods. You don’t have to avoid your cold weather favorites but find ways to lighten them up and be sure to balance it out with nutrient dense and protein rich options as well. You may also want to check in with your primary care physician (if you don’t have one – get one!!!) and get blood work done if it has been awhile. Most of us become Vitamin D deficient during the winter months, so it may be beneficial to add vitamin supplements to your diet, as long as it is approved by your doctor. 3. Exercise: For many people, exercise is the thing they love to hate but it is a necessary component to your overall well-being. For those who prefer to engage in outdoor activities, like running or biking it can be really challenging to maintain the same activity levels when the weather changes. However, we know that winter comes every year, so it is important to make a plan and be intentional about how you are going to maintain your activity levels in the winter. Join a gym, take a class, buy a treadmill, or break out your old Tae-Bo videos, just do something to move your body. Research has shown that exercise 3-5 times a week for 30 minutes can have the same impact as a dose of Zoloft and for those already on antidepressants, exercise has been shown to enhance the results you are already getting. 4. Light Therapy: For those who really struggle during winter months, light therapy may also be an option either on its own or in addition to medication management or psychotherapy. The Mayo Clinic recommends that the lightbox should have an exposure of 10,000 lux of light and emit as little UV light as possible. It is suggested you use the light within an hour of waking for about 20-30 minutes with about 16-24 inches between you and the light. The lights are relatively inexpensive and can be found online for around 40-60 dollars. Before you add a light to your Amazon cart it is important to check with your medical provider to ensure this is a good option for you, especially if you have any eye issues. 5. Socialization: Cold temperatures and snowy weather can make it easy to hunker down and stay inside, but when winter weather lasts 4-5 months a year, avoiding social interaction can really have an impact on your mood. It just as if not more important to maintain social support and connections in the cold months as it is in the summer, even though it’s harder. However, social support is an important factor in maintaining or elevating moods. A tip I share with clients is to be very intentional about your social engagements. When you run into a friend at the grocery store and share the pleasantry “let’s get together soon”, whip out your phone and schedule something then and there. Life will often distract us from following up on that promise if we don’t do it right away. Scheduling regular social dates can be helpful too, especially if you are trying to coordinate a group. Planning to go out to eat every third Thursday means you start prioritizing your social commitments (read: prioritizing YOURSELF) and building your life around them, instead of the other way around. Finally, if you don’t have many people to connect with a good resource can be www.meetup.com. You can look up by region and find social groups for just about anything like book clubs, meditation groups, photography groups, dog walking, and more. 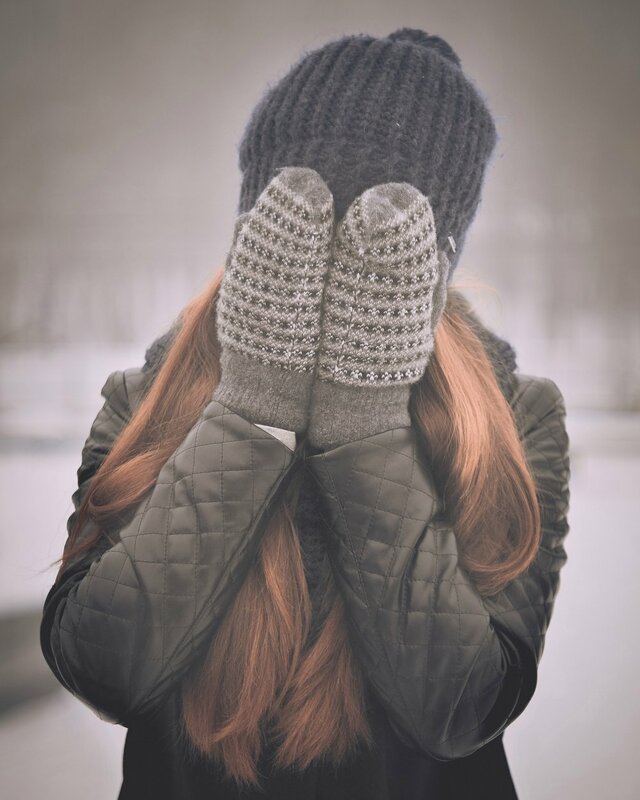 If you know winter can be a difficult time for you, it’s important to try to get ahead of it by implementing these ideas sooner rather than later to beat the winter “blahs”. If you try these and still find yourself struggling, you may want to reach out to your doctor or a therapist for additional support. As always, feel free to reach out to me for any additional information or if you have questions.